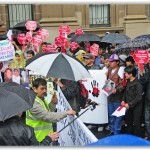 Although the weather was harsh, wind and torrential rain could not stop the people of Melbourne to participate to the call of Australian Hazara Federation, a large number of young, old, men and women rushed to the State library and showed their grieves and anger against the Islamic terrorist and to the government of Pakistan. 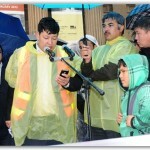 On the Causes of terrorism against hazaras spoke about the political situation of Pakistan especially Balochistan Province where the Hazaras live and he also explained the emergence of the Islamic terrorists and the causes of the terrorism in the region. 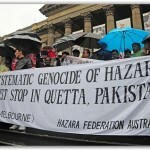 condition of Hazaras in Quetta and Afghanistan, and also about asylum seeker/refugees in Australia. 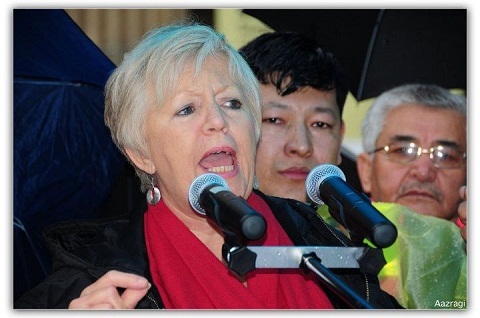 She emphasize about Australia’s obligation to provide protection for the hazara asylum seeker and refugees in various detention centres around Australia and scrape the Malaysia and Nero solution. 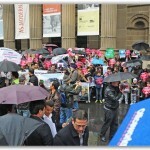 ‘The Hazaras are a minority people in Afghanistan. 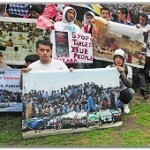 They have been historically persecuted and driven off their lands. 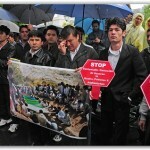 Many have fled to Iran where they are exploited and Pakistan where they are being killed daily. 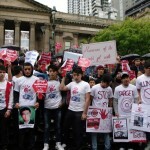 Nearly 100% of Afghanis coming to Australia for protection are Hazaras. 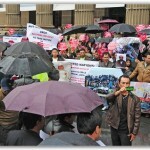 ‘All Hazaras are now being targeted not just men, political activists or businessmen, but women are shot at on buses whilst going to the market and young boys are shot at on motorbikes by masked men. 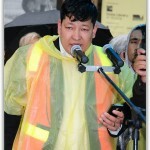 The leader of Lashkar e Janghvi is free in Pakistan, making speeches against the Shia community, planning his next assault on the Hazaras. 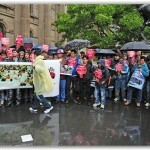 My personal connection with and respect for the Hazara community is something I greatly value. 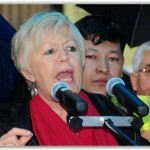 I have been able to observe the extraordinary sense of connectedness and community spirit; resilience and adaptability of the Hazara community, in addition to their adaptability. 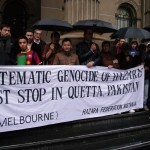 Any supposition or policy by any country including Australia that seeks to make a finding that the #Hazaras, wherever born or normally reside are subjected to anything less than systematic persecution, torture or genocide is mistaken and either grossly mis-informed or indulging in political gaming. 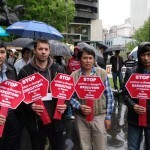 I add my support to those of many others for the Hazara people and to their personal pleas, crystalized today to respect their right to freedom from persecution, torture and genocide.